Scientists in America have taken the DNA of a spider and implanted it into a goat to produce large quantities of a spider silk that is among the strongest substances known to man. 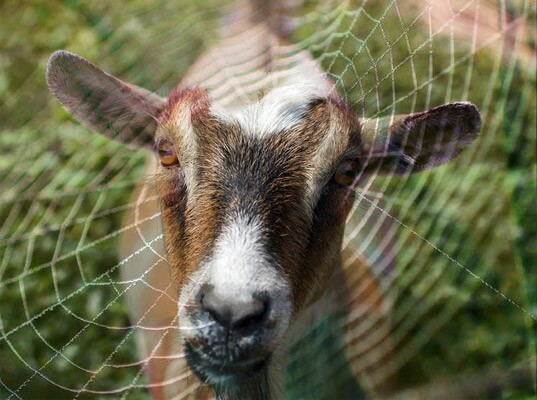 The scientists genetically modified the goats by implanting spiders’ silk-spinning genes into them, allowing them to harvest the silk protein from the goats’ milk for a variety of applications. Due to its strength and elasticity, spider silk fiber could have several medical uses, such as for making artificial ligaments and tendons, for eye sutures, and for jaw repair. The silk can also be used in bulletproof vests and to improve car airbags. Other than their ability to produce the spider silk protein, the goats do not seem to have any other odd differences in health, appearance, or behavior compared to goats without the gene, the researchers said.